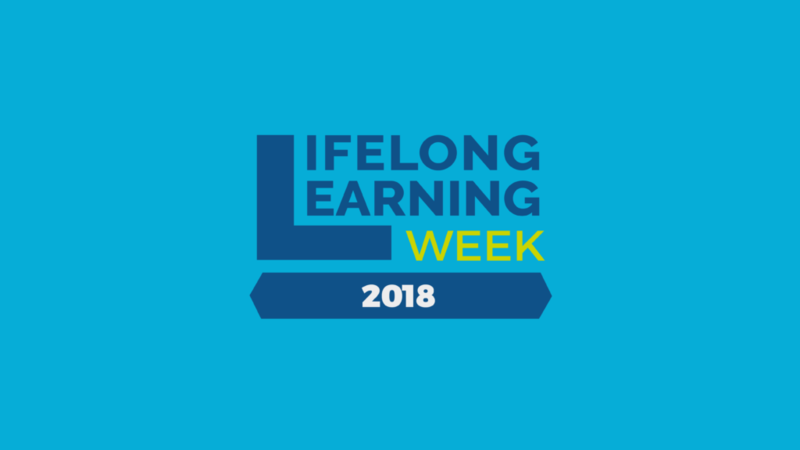 The Lifelong Learning Platform will be holding its 8th Lifelong Learning Week on 3-7 December 2018 in Brussels. The LLLWeek has become a milestone in the European education agenda, thanks to the support of civil society actors, Members of the European Parliament, and other representatives of the Euopean institutions (European Commission, European Council, European Economic and Social Council). The LLLPlatform is proud to announce that the LLLWeek2018 will take place in cooperation with the Bulgaria and Austrian Presidency of the Council of the EU, the Youth Intergroup and the Lifelong Learning Interest Group of the European Parliament, as well as partners such as Public Libraries 2020 and Culture Action Europe. The main purpose of the Lifelong Learning Week 2018 will remain to give visibility to lifelong learning as a whole. Its advocacy dimension will be reinforced, including the main feature of events within the European Parliament to address the most pressing issues in education and training. Moreover, the LLLWeek2018 will tackle key challenges related to building synergies between Education and Culture, as per the annual topic. Bearing in mind the newly-released proposal for the Revision of the Key Competences, as well as the original Key Competences for Lifelong Learning, the Lifelong Learning Platform believes the EU’s approach remains limited to formal education and hence does not acknowledge the wider definition of learning environments. Therefore, it is necessary to give further impulsus to cooperation between the two sectors, as this will benefit lifelong learning at its broadest sense. The LLLPlatform hopes that this vision will also contribute to the debates around the European Year of Cultural Heritage, the main feature of 2018 in Education and Culture. During the LLLWeek, participants will discuss and hopefully try to answer most of the urgent questions. How can lifelong learning make sure that all learning environments are visible? What can be done to ensure that validation tools and mechanisms take into account transversal competences acquired in non-formal and informal environments? How can we ensure e true holistic approach to active citizenship through education and culture? Debates and workshops organised under this first sub-theme will discuss the role of lifelong learning in ensuring that all learning environments are taken into account when formulating European policies in education and training. Best practices in informal and non-formal settings can be put forward to help discussants understand the magnitude of those environments when developing transversal competences, as well as proposals for policy reforms that keep into account the unique role of lifelong learning in fostering key competences. Debates and workshops organised under this second sub-theme will discuss the role of lifelong learning and culture to bridge the gaps between theory and practice. They will lean upon the different skills sets that inform the Key Competences and put forward interesting practices to validate these skills sets. The sub-topic can as well be understood through the lense of cultural diversity. Debates should target people from all age groups, as well as disadvantaged background as primary beneficiaries of the tools. A particular place shall be placed to enable culture actors to have a say when assessing transversal competences. Debates and workshops organised under this third sub-theme will discuss how culture-based competences can contribute to create active citizens. A particular focus shall be placed on cultural awareness, learning to learn and social and civic competences as fosterous of self-awareness and personal development within societies. Best practices presented should link education and culture to a renewed active citizenship and, if desired, European identity.